O.G. Stonemasonry has worked with Architects all over Oxfordshire, and over the years we have built up a formidable reputation in our industry. We operate our own saws, and employ banker masons and fixers who have spent over 20 years perfecting their craft. 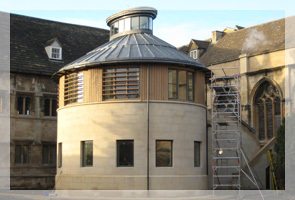 They have a wealth of experience in working with Heritage Trusts, grade A listed buildings and other major contracts within the Cotswolds and Oxford City. We provide all of our customers with a complete solution, ranging from the initial design stage to onsite fixing of the finished product. 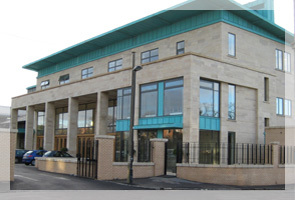 Below are two of the projects of which we have designed, supplied and fixed all masonry. Our expertise in this area is vast, our masons have received awards for their work in the restoration of Windsor Castle, along with many other National Trust properties, Houses of Parliament and Oxford Colleges. If you have a project in need of restoration why not discuss the matter with us, we can offer advice and knowledge on the best and most economical methods available. In addition to the above we are approved contractors for the Doff Jos/torc cleaning systems, the systems being mainly used for the removal of graffiti, carbon deposits, paint, and biological matter etc.